This study examines flood risk prevention of the Seine in the Ile-de-France region. It highlights the impacts a major flood, like the one in 1910, could have on the well-being of citizens, city management and the economy. This study finds that a major flood of the Seine River and its tributaries could affect up to 5 million residents and cause up to 30 billion euros in direct damage. Growth, employment and public finances could also be affected. The metropolitan area of Paris is highly exposed to the risk of a major flood of the Seine River, similar to the great floods of 1910. A major flood could cause severe damage to the largest economic metropolis in continental Europe. Recent floods in Europe as well as Hurricane Sandy in New York City in 2012, have shown the potential for disruption, and the impacts to the economy and well-being in large urban areas. 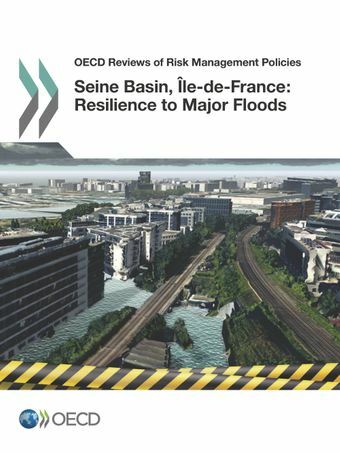 The “OECD Review on Flood Risk Management of the Seine River in Ile-de-France region” was presented to the French authorities at a launch, in the presence of Rolf Alter, Director of the OECD’s Public Governance and Territorial Development Directorate, Jean Daubigny, Prefect of Paris, Frédéric Molossi, President of the Basin Organisation Seine Grands Lacs, and Margareta Wahlstrom, Special Representative of the UN Secretary General on Disaster Risk Reduction. The Review was commissioned by the Basin Organisation Seine Grands Lacs with the French Ministry of Ecology and the Ile-de-France regional council.